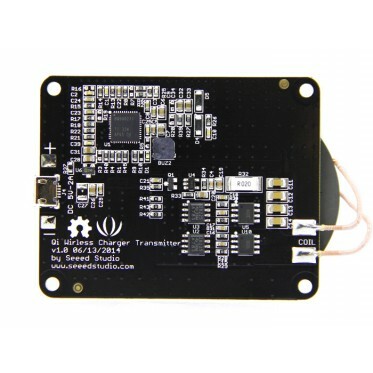 This module is designed for 5V Qi Wireless Charge Transmitter,which is base on BQ500211,BQ500211 is a second generation digital wireless power controller that integrates all functions required to control wireless power transfer to a single WPC compliant receiver.This module with FOD,it will automatically recognizes when charging module is close. 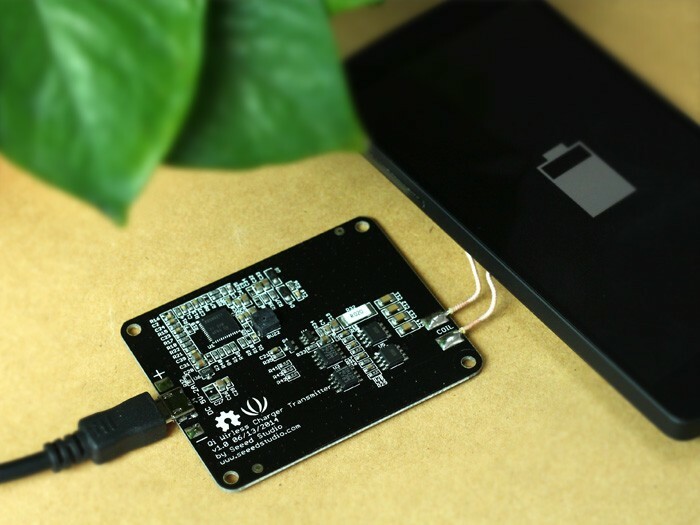 Qi Wireless Charger Transmitter compation with most wireless charging mobile phone on market such Nexus 5. 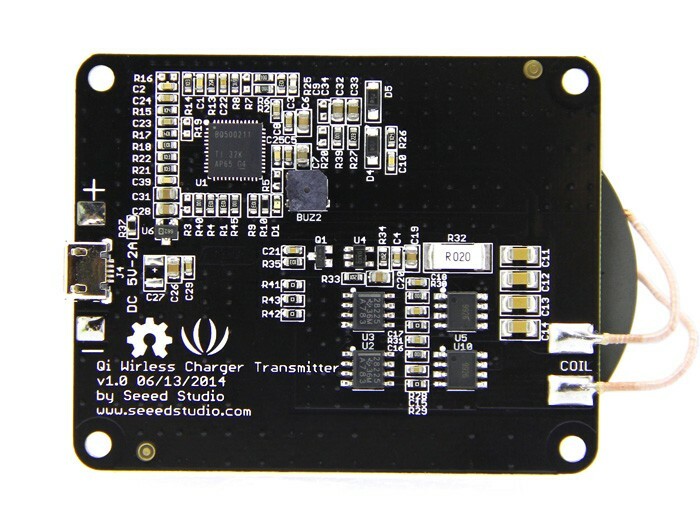 Specification Operating Frequency: 112kHz-250kHz Practical Distance:2-6mm Max Efficiency:80% Output Voltage:5V Output Current(maximum):1A Documents Please visit our wiki page for more info about this product. It will be appreciated if you can help us improve the documents, add more demo code or tutorials. For technical support, please post your questions to our forum.